I believe we should have a really good chance of seing at least three goals here in this match. 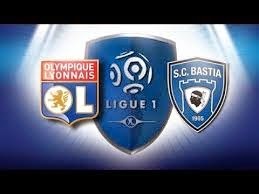 Lyon have had a great season and are placed 2nd, just one point after PSG and they therefore also have to win here. They have played four of their last five matches over 2.5 goals. Bastia have lost three of their last four matches, and their defense haven't looked good in those matches. They have played four of their last five matches over 2.5 goals as well.